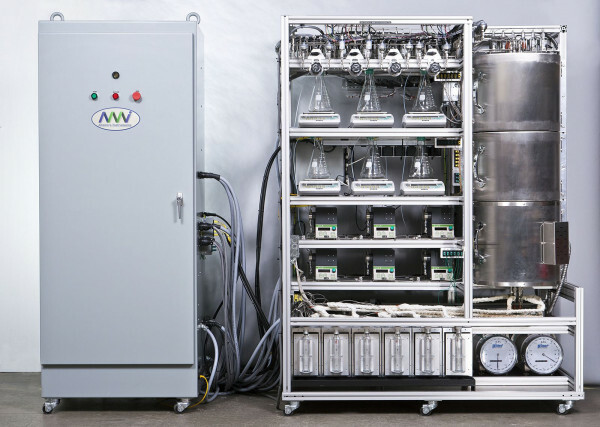 Altamira offers a variety of custom designed and fully automated chemisorption analyzers and reactor systems. 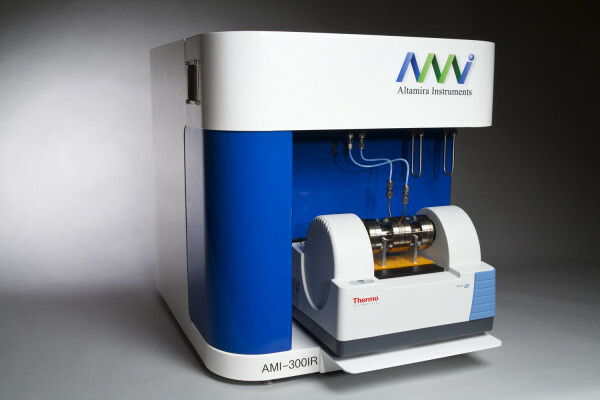 From instruments that conduct temperature-programmed characterization (TPR/TPO/TPD) to micro-reactors designed for a specific chemical process, Altamira can provide the instrument solution to your laboratory needs. Siluria Technologies has purchased numerous benchscale testing units from Altamira Instruments in the past 8 years and we have been very satisfied with the quality of the equipment, the technical expertise, and the customer service we have received over the years. I have used both the AMI-200 and AMI-300R units. One always hears the complaint that "they don't make them like they used to." Altamira has responded by building advanced products with only the most reliable of materials and components. In short, these instruments are rugged and built to last. I used an AMI-200 unit that was purchased in the mid-1990s and it is still going strong. 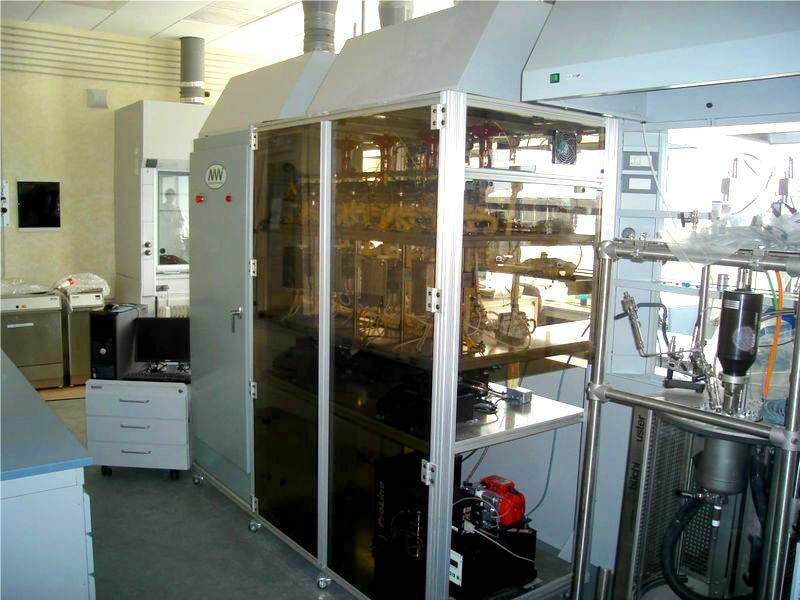 Performing dynamic temperature-programmed catalyst characterization experiments unattended. Custom microreactor systems designed for complex laboratory applications. 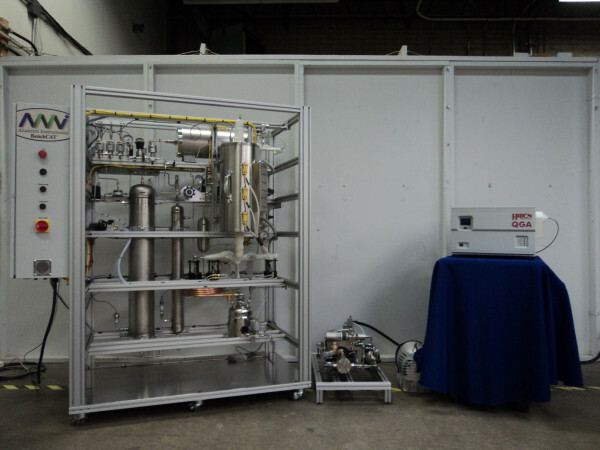 Reaction Testing and Chemisorption all in one instrument. Multiple sample testing through parallel experimentation. 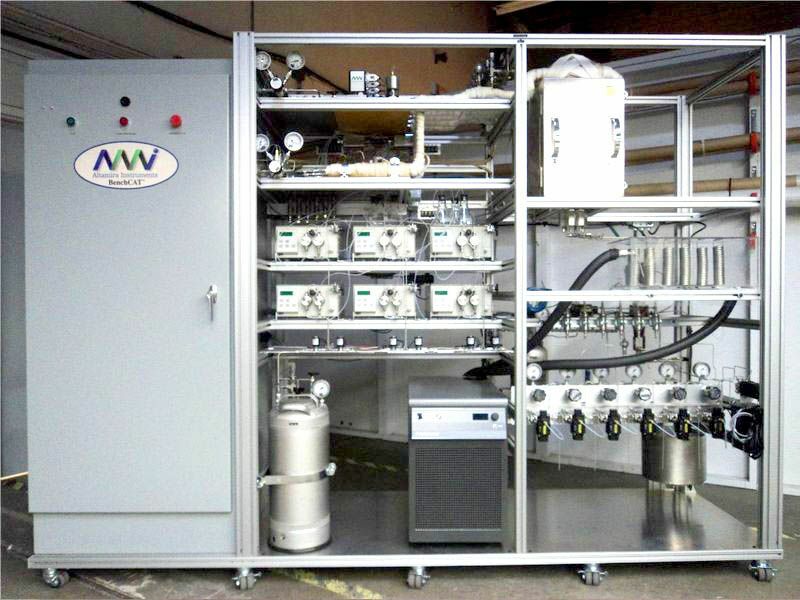 Gas-Phase or liquid-phase reaction studies contained in a fully automated compact package. 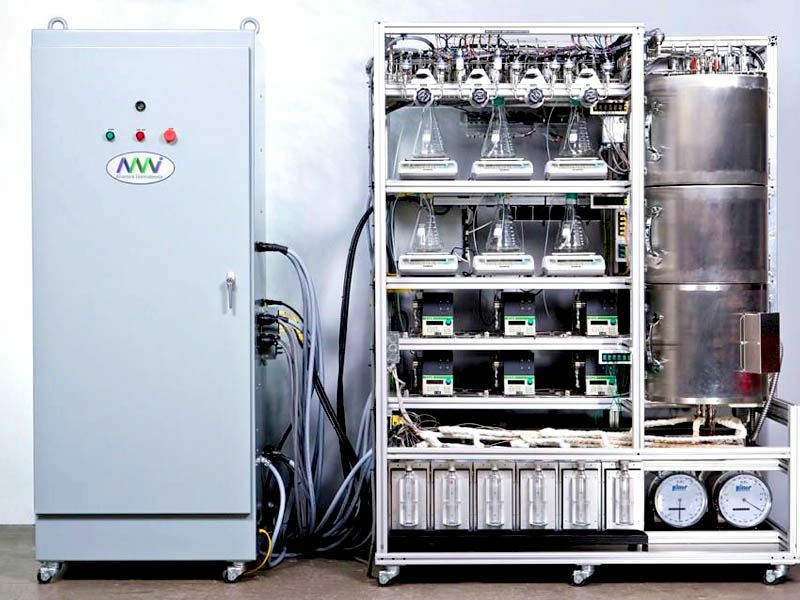 Reaction units and characterization equipment that can handle reactants and/or products that are corrosive, reactive, or unstable. 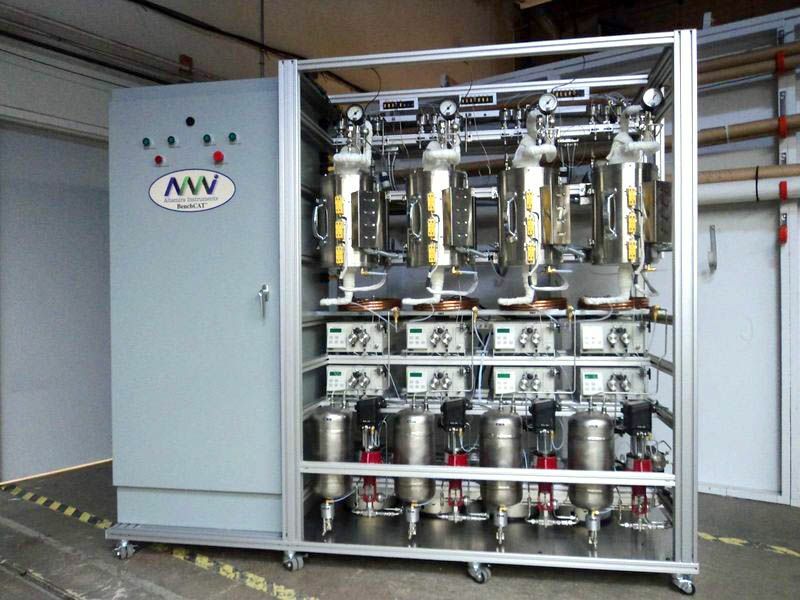 The AMI-200 Catalyst Characterization Instrument doubles as a reactor for study of fuel cells catalysts Catalyst Screening in the Celero, by George Marcelin, Ph.D. CHARACTERIZATION OF MICROPOROUS MATERIALS By Carlos A. Leon y Leon D.
All solid powders, and in particular those with apparent surface areas > 400 m2/g, are bound to contain micropores. The importance of micropores lies in that materials containing micropores generally have most of their apparent surface area residing in them. 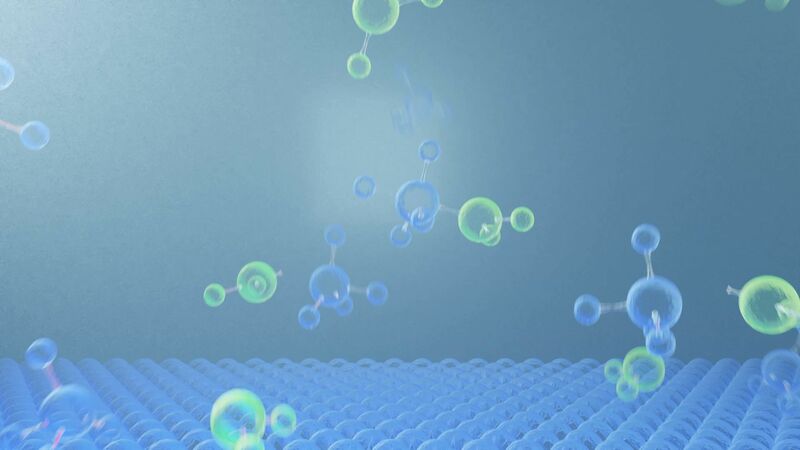 Hence, all applications of materials (adsorbents, catalysts) that depend on their accessible surface area must deal with the possible effects arising from the presence of micropores in the materials. Temperature-programmed desorption (TPD) of basic molecules from the surface of zeolites has been extensively used to measure their acid properties. The TPD experiment consists of sorbing a base molecule on the material of interest and, while flushing the surface with an inert gas, linearly ramping the temperature and measuring the desorption of the base. By quantitatively measuring the amount of base desorbed and noting the temperature(s) of desorption, information can be obtained on both the intrinsic and extrinsic acid properties in a single experiment (See Figure 1). Recent Altamira Notes have discussed the use of several different chemisorption techniques to determine crystallite sizes for supported metal catalysts.These techniques, temperature-programmed desorption, static chemisorption, and pulse chemisorption, can all be described as "chemical" methods because they rely on some way of monitoring the chemisorption or desorption of molecules on metal surfaces. A second general approach to the determination of metal crystallite sizes involves the use of techniques which may be described as "physical" methods. The objective of this Note is to compare the chemical methods described in earlier Notes to several physical methods discussed below. There are 3 fundamental ideal types of reactors. Laboratory reactors are almost exclusively related to these ideal forms. Larger reactors, pilot-plant or commercial scale, can be mathematically described usually by deviations from these ideal reactors. Additional complications to the descriptive or "design" equations are introduced by the presence of multiple phases. In the study of reactions on heterogeneous catalysts over the past 40 years, much use has been made of transient kinetic techniques in order to provide insight into surface reaction processes and mechanisms. These techniques have typically employed at reaction conditions the use of stopping/ starting the flow of one of the reactants or of pulsing the reactants. With the exception of experiments studying the exchange reaction between molecules at steady flow (1), it is difficult to extrapolate the results from these transient, non-steady-state studies to interpret the nature of surface reaction under steady-state conditions. Designing and using laboratory-scale reactors for studying catalysts can be a very confusing process. 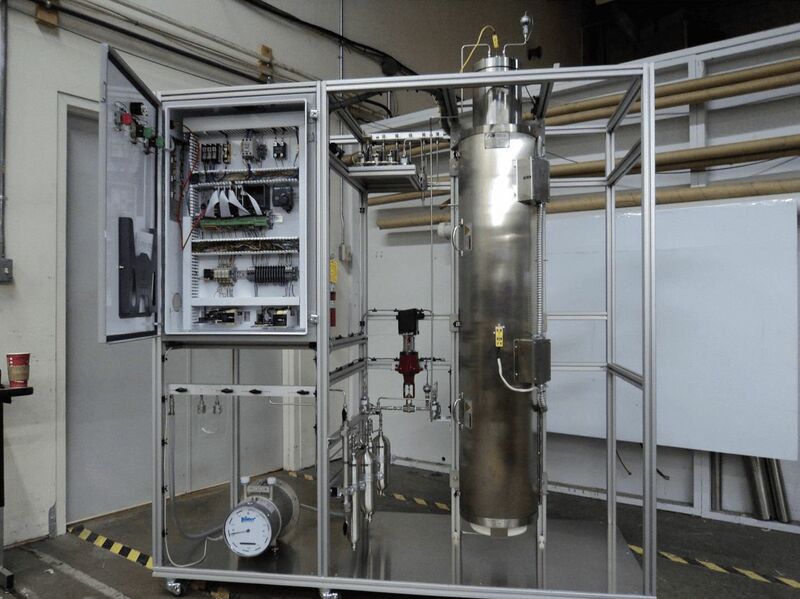 Laboratory catalytic reactors are used for a variety of objectives including catalyst screening and evaluation, determination of reaction data, simulation of commercial process conditions, studies of catalyst pretreatments or aging, etc. Each of these objectives lends itself to a specific design of the reactor in order to achieve results which are meaningful. This Altamira Note discusses three common applications of laboratory-scale reactors and the suitability of various reactor types for these different research and development applications. Many industrial processes involve multi-phase systems, and perhaps the most complex is the gas-liquid-solid or slurry reactor. The complexity of this system arises from the simultaneous presence of mass and heat transport involving all three phases in addition to reaction. Although the transport phenomena can often be theoretically evaluated, by assuming limiting cases, the addition of the reactor operating characteristics and slurry physical properties introduces further complexities. Empirical correlation based on a particular reactor at actual operating conditions must then be utilized.